In the latest installment of the Review of Qur’anic Research, Johanna Pink (Albert-Ludwigs-Universität, Freiburg) reviews The Qur’an and Its Readers Worldwide edited by Suha Taji-Farouki (Oxford University Press, 2015). This volume presents readers with an unprecedented broad perspective on the global field of Muslim qurʾānic exegesis. It brings together ten chapters that bear witness to exegetical approaches from all over the world: Bosnia, Turkey, South Asia, Indonesia, Iran, Egypt, the U.S., East Africa, Germany, and China. Consequently, it contains examples from Muslim majority societies as well as diasporic communities from the early twentieth century to the present. The ninth annual meeting of the Society for the Study of Muslim Ethics will be held January 4-7, 2018, at the Doubletree Hotel in Portland, Oregon, to be held concurrently with the meeting of the Society for Christian Ethics and the Society for Jewish Ethics. Proposals dealing with any aspect of Muslim ethics—theoretical or applied, classical or contemporary—are welcome. We seek proposals on any topic, including projects that utilize historical, social scientific, literary, theological, philosophical, or legal approaches to matters of Muslim ethics. We welcome proposals for either single papers or panels with multiple papers addressing issues including (but not limited to) bioethics, economic and business ethics, environmental ethics, race, gender, globalization, post-colonial studies, political ethics, ethics and law, and ethics and violence. We are also interested in presentations dealing with pedagogy, including innovative syllabi in ethics-related disciplines, as well as reflections on the state of the field of Muslim ethics. Panel proposals involving members of the Society of Christian Ethics and Society for Jewish Ethics are particularly welcome. Proposals for panels should include a list of all panelists (including contact information), including the convener and discussant (if any), as well as the tentative title, abstract, and selected bibliography for all papers. The deadline for submission of proposals is June 1, 2017. Successful applicants will be notified by July 1st, 2017. The Society for the Study of Muslim Ethics (SSME) is a scholarly association dedicated to advancing intellectual inquiry in Muslim ethics, including the relation of Muslim ethics to other ethical traditions and to social, political, and economic problems. The Society supports academic work in both philosophical and applied ethics, historical as well as contemporary issues. The Society also aims to promote the teaching of Muslim ethics in colleges, universities, and theological schools, to improve understanding of Muslim ethics in the broader society through publications and other educational activities, and to provide a community of discourse and debate for those engaged professionally in the study of Muslim ethics. It’s that time of year! Early Bird Registration is NOW OPEN for the IQSA Annual Meeting held in conjunction with the SBL/AAR Annual Meetings in Boston, Massachusetts from November 18-21, 2017. Register as an affiliate member HERE. Discounted Early Bird prices end May 19, so don’t wait! You can save on the registration fee by joining IQSA and registering for the Annual Meetings as an Affiliate Member! The membership fees for IQSA are $25, $50, and $75 depending on the level. To become an IQSA member click HERE. Member benefits not only include discounted conference rates, but also the newly released first issue of IQSA’s flagship journal, the Journal of the International Qur’anic Studies Association by Lockwood Press. JIQSA, vol. 1 (2016) is co-edited by Michael Pregill (Boston University) and Vanessa De Difis (Wayne State University) and features new research on the Qur’an. The editors offer an insightful introductory essay on the scope and subject matter of JIQSA, locating the field of Qur’an Studies today “between the Bible and Tafsir.” Articles include the 2015 presidential address by Reuven Firestone on and a response by Ebrahim Moosa, as well as a number of original contributions by international scholars, including posthumous contributions by Patricia Crone and Ali Mabrouk. IQSA members have FREE online access to JIQSA 1 via the MEMBER PORTAL on IQSAWEB.org. Non-members can gain access by signing up for membership HERE. At this time institutions are strongly encouraged to subscribe for print or online access by filling out this SUBSCRIPTION FORM. Print subscriptions are also available for individual subscribers via THIS FORM. Questions about JIQSA, IQSA membership, or Annual Meeting Registration? Email us at contact@iqsaweb.org. 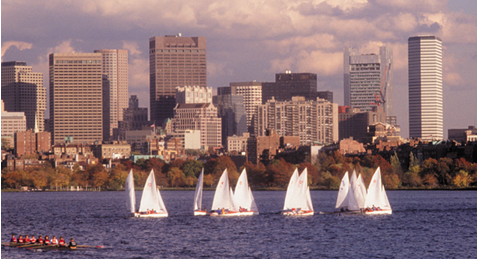 We hope you’ll join us as an IQSA member and meet us in Boston! IQSA is proud to announce the release of the first issue its flagship journal, the Journal of the International Qur’anic Studies Association by Lockwood Press. JIQSA, vol. 1 (2016) is co-edited by Michael Pregill (Boston University) and Vanessa De Gifis (Wayne State University) and features new research on the Qur’an. 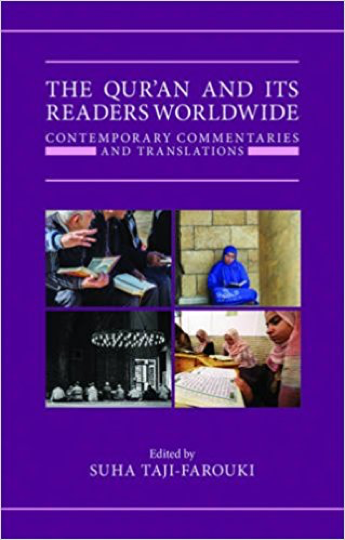 The editors offer an insightful introductory essay on the scope and subject matter of JIQSA, locating the field of Qur’an Studies today “between the Bible and Tafsir.” Articles include the 2015 presidential address by Reuven Firestone on and a response by Ebrahim Moosa, as well as a number of original contributions by international scholars, including posthumous contributions by Patricia Crone and Ali Mabrouk. Preparation for JIQSA, vol. 2 has already begun. Potential English and Arabic contributions to JIQSA, vol. 3 should be sent to the editors at jiqsa@iqsaweb.org for peer review. Pregill, Michael E. and Vanessa De Gifis. “Editors’ Introduction: The Qurʾān Between Bible and Tafsīr.” JIQSA 1 (2016): 3-9. Firestone, Reuven. “The Problematic of Prophecy: 2015 IQSA Presidential Address.” JIQSA 1 (2016): 11-22. Moosa, Ebrahim. “Response To Reuven Firestone’s 2015 IQSA Presidential Address.” JIQSA 1 (2016): 23-27. Bauer, Karen. “The Current State of Qurʾānic Studies: Commentary on a Roundtable Discussion.” JIQSA 1 (2016): 29-45. Graves, Michael. “Form Criticism or a Rolling Corpus: The Methodology of John Wansbrough through the Lens of Biblical Studies.” JIQSA 1 (2016): 47-92. Anthony, Sean W. and Catherine L. Bronson. “Did Ḥafṣah Edit the Qurʾān? A Response with Notes on the Codices of the Prophet’s Wives.” JIQSA 1 (2016): 93-125. Crone, Patricia. “Nothing but Time Destroys Us”: The Deniers of Resurrection in the Qurʾān.” JIQSA 1 (2016): 127-147. Melchert, Christopher. “Bukhārī’sKitāb Tafsīr al-Qurʾān.” JIQSA 1 (2016): 149-172. Stewart, Devin and Gabriel Said Reynolds. “Afterword: The Academic Study of the Qurʾān—Achievements, Challenges, and Prospects.” JIQSA 1 (2016): 173-183. 10. علي مبروك†,القرآن: ما بعد أبي زيد وما قبل المصحف. مجلة الجمعية الدولية للدراسات القرآنية. (2016): 192-187. For information about submissions, visit https://iqsaweb.wordpress.com/publications/call-for-papers-jiqsa/ or send an email to the editors at jiqsa@iqsaweb.org. In the latest installment of the Review of Qur’anic Research, Orhan Elmaz reviews Christian Peltz’s two-volume Der Koran des Abū l-ʿAlāʾ (Weisbaden: Harrassowitz, 2013). Peltz’s work is dedicated to a text unique in classical Arabic literature in many respects: Abū al-ʿAlāʾ al-Maʿarrī’s (d. 449/1057) Kitāb al-Fuṣūl wa’l-ghāyāt fī tamjīd allāh wa’l-mawāʿiẓ. Maʿarrī’s work has drawn scholarly interest because it has been believed to constitute an attempt at imitating or parodying (muʿāraḍah) the Qurʾān. Full access to the Review of Qur’anic Research (RQR) is available to IQSA members by logging in HERE. Not an IQSA member? Join today to enjoy RQR and additional member benefits!